Ralph Spaccatutto: Tra Content e Influencer Marketing - Brad&k Productions S.r.l. Now the eyes of consumers are super addicted to any type of digital advertising activity you can imagine,,it,Hence the need to create new content and influencer marketing strategies that allow the content to really attract users' attention,,it,the last winning find in this perspective has Disney with a very special strategy and aimed at creating buzz around the exit of,,it,Ralph Spaccatutto,,it,expected for the next,,it. Da qui la necessità di creare strategie sempre nuove che permettano al contenuto di attirare realmente l&#8217;attenzione degli utenti. L&#8217;ultima trovata vincente è stata di Disney which has created a very special and targeted strategy to create buzz around the exit of,,it,Ralph Spacca Internet lands on Fortnite,,it,As already done for,,it,all the most famous gamers started asking questions, involving the audience and they continued to do so until the apparition took place,,it Ralph Spacca Internet: Ralph Spaccatutto 2 prevista per il prossimo 1 January 2019. Come vi abbiamo raccontato su ScreenWeek pochi giorni fa Epic Games it is back to being used by a film distribution company as a full-fledged media,,it,when Thanos became for a limited period one of the characters with whom he could play in,,it,but this time it was Ralph Spaccatutto,,it,But while in the case of Thanos it was a mash-up in all respects this time it was more like an apparition of a few moments but very significant,,it,Yes, because of course,,it,as had been foreseen,,it. Come fatto già per Avengers Infinity War quando Thanos è diventato per un periodo limitato uno dei personaggi con i quali poter giocare in Fortnite, questa volta è toccato invece a Ralph Spaccatutto. Mentre però nel caso di Thanos si trattava di un mash-up a tutti gli effetti, questa volta è stata più che altro un&#8217;apparizione di pochi istanti ma altrettanto significativa. Si perché ovviamente, come era stato previsto, the gamers immediately noticed the particularity and started sharing the event making it a news story,,it,Here then that from the moment in which already in the source code of the update,,it,of the game code appeared a very strange video file,,it,all the most famous gamers started asking questions, involving the audience and they continued to do so until the apparition took place,,it. Ecco allora che dal momento in cui già nel codice sorgente dell&#8217;aggiornamento 6.30 del codice del gioco è apparso un file video molto strano, tutti i gamers più famosi hanno iniziato a porsi delle domande coinvolgendo il pubblico e hanno continuato a farlo fino a che l’apparizione non è avvenuta. The goal of all this was exactly to indirectly push these industry gurus to talk about the character and then the film and to do it in an alternative but very effective way.,,it,Yes, because talking about characters so close to the film's target audience certainly means breaking through their hearts,,it,This same audience would have been difficult to achieve with a standard influencer marketing activity,,it,@FNBRLeaks,,en,@YummyAlpha,,hi,@Ta5tyy,,en,@CrossLeaks,,en,@TrixLeaks,,en,@ShiinaBR,,so,@StormLeaks,,en. Si perché far parlare personaggi così vicini al target audience del film significa sicuramente far breccia nei loro cuori. Questo stesso pubblico sarebbe stato difficile da raggiungere con un&#8217;attività di influencer marketing standard. 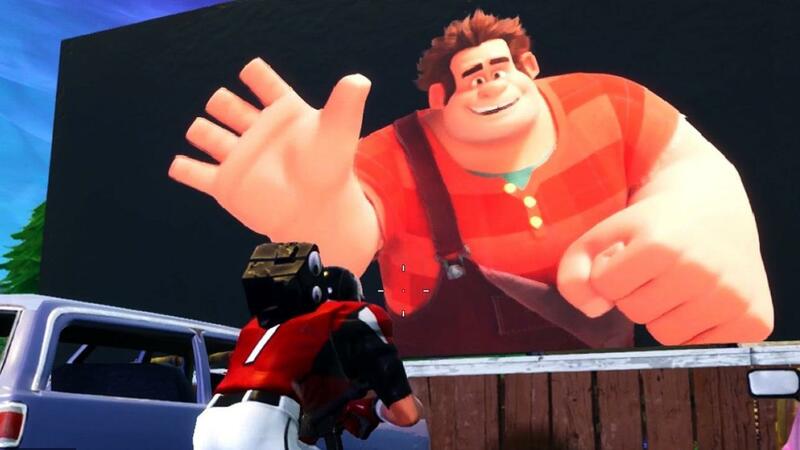 L&#8217;iniziativa funziona ancora meglio viste le caratteristiche del personaggio che è stato scelto, come saprete Ralph ha iniziato la sua carriera entrando in un videogioco “spaccando” Internet e chissà che non lo farà anche in questo sequel. Quale trovata migliore se non quella di farglielo fare anche nella realtà permettendogli di comparire in un videogioco tra i più amati e utilizzati tra i ragazzi? These are initiatives that are halfway between Content and Influencer marketing really allow to reach more targeted and certainly effective target audiences very similar to the content of the film and for this should be read with a view to optimizing investments that a home distribution cinematic can make in choosing the various channels of communication on which to aim for the publicity of their film,it. Un modo non nuovo ma sicuramente diverso di creare engagement che andrà tenuto sott&#8217;occhio d&#8217;ora in avanti perché ci regalerà gran belle sorprese!